Thousands of Vietnamese protesters surrounded a Taiwanese steel plant Sunday, some scaling walls and holding signs demanding its closure, as anger flares against the firm for dumping toxic waste into the ocean killing tonnes of fish. Huge crowds on motorbike and foot gathered at the Formosa plant in central Ha Tinh province, with some holding signs saying: "Authorities, please close Formosa plant for the future of the nation" as others chanted angrily. 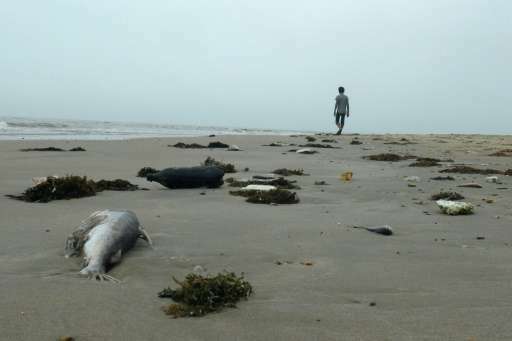 Dead fish and other marine life began washing ashore in central Vietnam in April, the country's worst ecological disaster in decades that devastated livelihoods in coastal towns where fishing is the main source of income. Taiwan's Formosa, which is building a multi-billion dollar steel plant in the area, was blamed for the disaster and fined $500 million. The government said it would start paying affected fishermen in October and confirmed last week that payouts would range from $130 to $1,600 per person depending on losses calculated between April and September. Sunday's demonstrators demanded additional compensation. 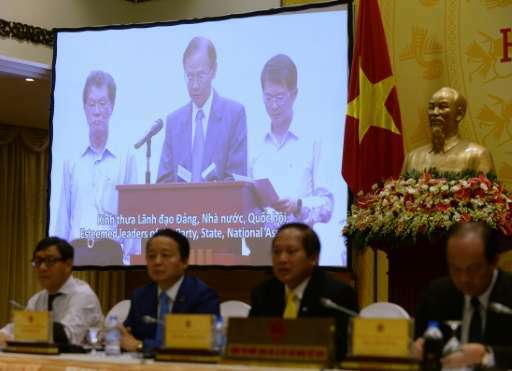 "The protestors, who were directly hit by the Formosa scandal, asked for compensation and required the plant to close," witness Hoang Sy Son told AFP. Photos and video on social media showed protesters, led by a Catholic priest, surrounding the steel plant in Ky Anh township and chanting bible passages. "A lot of security people and vehicles were deployed here, but no clashes were seen," Son added, speaking from the rally. AFP could not reach authorities for comment Sunday. The rallies came days after fishermen in the area filed more than 500 lawsuits demanding additional compensation from the government over the disaster. Demonstrators have held rare protests in several cities across the authoritarian country after the mass fish deaths, with police breaking up some rallies and jailing scores. Protesters blamed officials for dragging their feet on investigations into the scandal. Formosa is no stranger to controversy in Vietnam. In 2014, three people were killed when anti-China riots took place at the same Ha Tinh steel plant, where a scaffolding collapse also killed 14 last year. The conglomerate has paid millions of dollars in fines over environmental mishaps elsewhere.